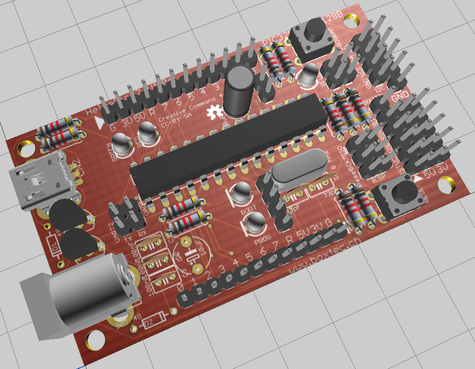 HelvePic32 - a board for everyone to solder - helvepic32s Webseite! A board alone does not serve much without extensions. In the Arduino world these are shields that do not fit on to the HelvePic32. Instead of creating the wheel again we decided to support the Grove modules of seedstudio. This give you the chance to use them with your arduino as well. The board offers the additional pins in a center pin-block together with GND, 5V and 3.3V in a 2x8 pin row. The 8 lower pins are acompanied by a row of 3.3V pins and GND offering a direct plug-in of servos or sensors with GVS-cables. It is identical to the HelvePic32 but uses a SMD version of the chip. It plug right into the standard breadboards and is powered by the USB cable. 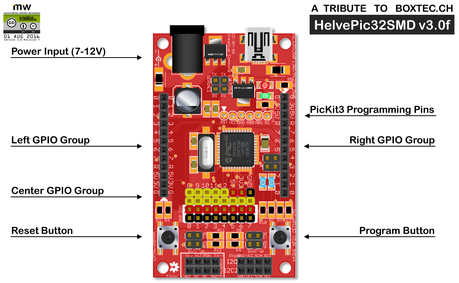 The HelvePic32 has the size 42x72 mm, which is a standard module size. All parts are through hole as demonstrated in this 3D simulation. It can be soldered within an hour by an inexperienced new-comer to electronics. 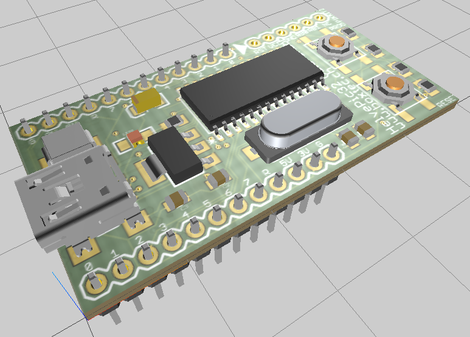 The board is programmed using MPIDE, similar to the Arduino IDE and the Arduino code can be used in 99% of the cases.